The Jacksonville Jaguars are one of the newer teams in the National Football League, but there's a lot about their 24-year history that many people didn't know. 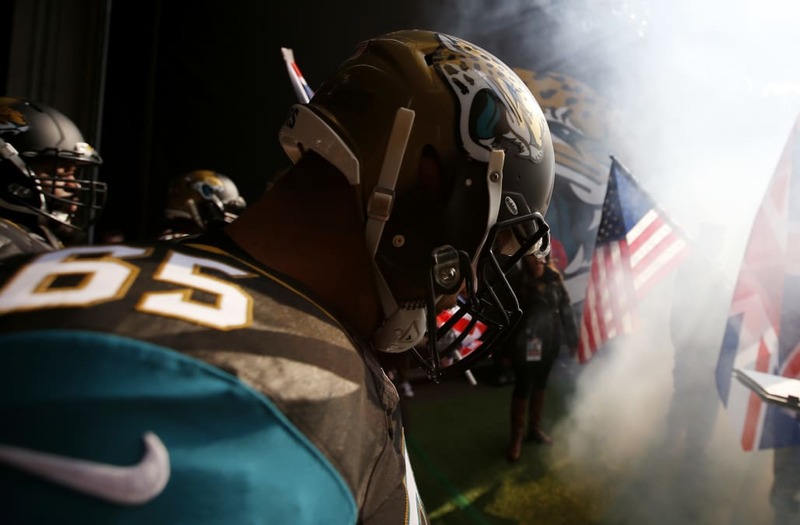 The Jaguars joined the NFL as an expansion team in 1993, becoming the league's 30th team. Tom Coughlin, who currently serves as an executive for the organization, was actually hired to be the Jaguars' first ever head coach in 1994 before the team's first official season in 1995. He famously went on to spend 12 seasons coaching the New York Giants before returning to Jacksonville where he currently works as the executive vice president of football operations. In their short time as an NFL team, the Jaguars have made their way to two AFC Championship games: 1996 and 1999. However, the organizaion has yet to secure its first Super Bowl banner. Jaguars owner Shahid Khan also owns soccer team Fulham FC -- which just so happens to be based in London. There is also a jaguar at the local zoo named after the billionaire, and the two coincidentally share a birthday. This weekend's matchup against the Baltimore Ravens will be Jacksonville's fifth game played in London so far, the most of any NFL franchise. The team will also return to Wembley several times through 2020. The Jaguars and Ravens are set to face off at London's Wembley Stadium on Sunday, September 24, with kickoff scheduled for 9:30 a.m. ET.